A little drawing I did on kraft paper with Micron pen and colored pencils. 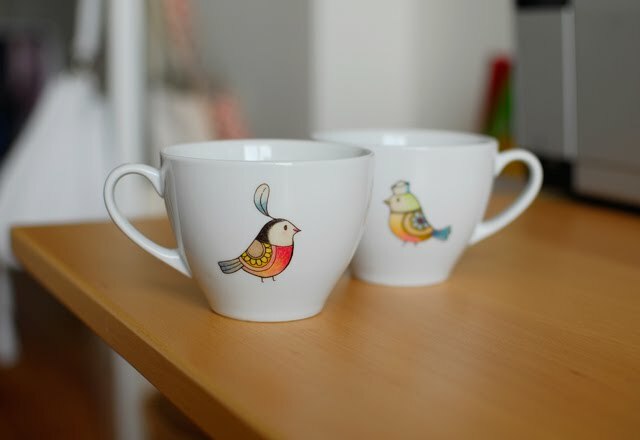 I printed the birdies on decal paper and transferred them onto Ikea cups. This birdies are soooo cute! In which way the drawing can stay in the cup? You can wash them? Have a nice valentine's day...with a lot of love. 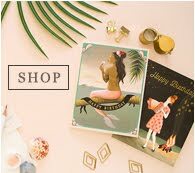 Thanks a lot :) I printed them on Rub-on transfer paper and then you can easily apply them to most surfaces by rubbing the backing until the decal releases. I guess they are pretty fragile, so maybe it's better not to wash them. Happy Valentine's Day to you, too! 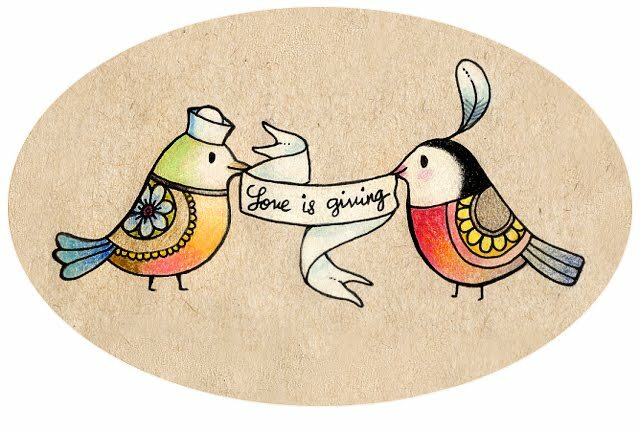 Let love be always with you! Bellime tazze, davvero adorabili, sei bravissima!! Oh so cute! I love the drawing, but most of all I love those cups! :))) happy s. valentine day to you too! I love these beautiful birdies! Specially the one with a hat :D ..They look gorgeous on those cups! These are absolutely gorgeous! They look so professional - I never would have guessed you made these yourself! Dearest sweet friend, this is truely gorgeous!! I love them so much both that illustrationa nd the decals!! Thanks so much for sharing! Love to you! 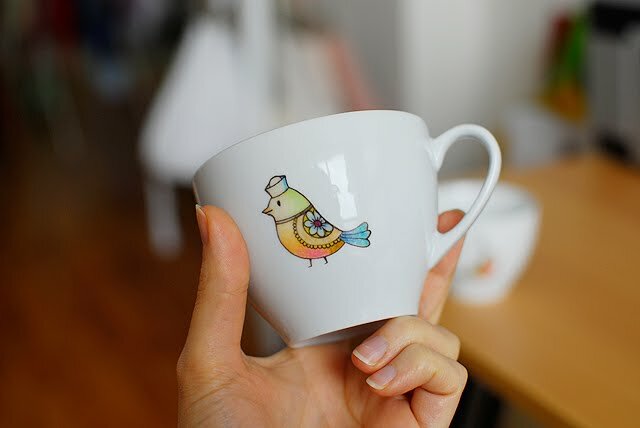 The birds look pretty - on paper or cups! Love them!